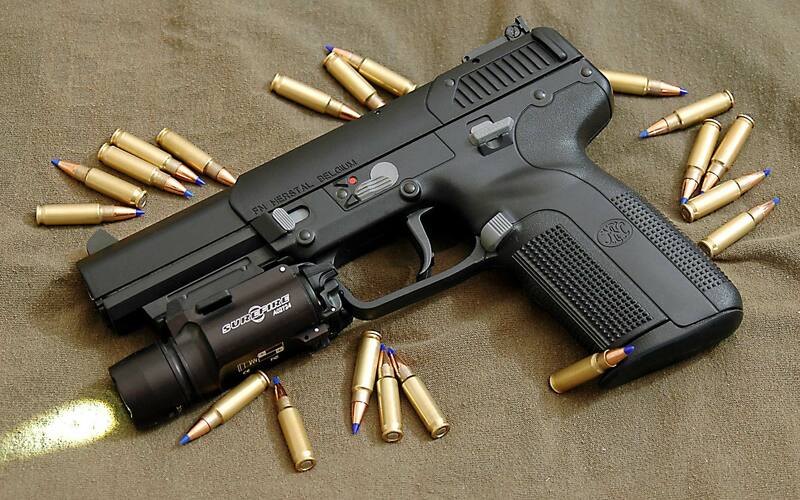 The FN Five-seven, trademarked as the Five-seveN, is a semi-automatic pistol designed and manufactured by Fabrique Nationale d’Armes de Guerre-Herstal (FN Herstal) in Belgium. The pistol is named for its 5.7-mm (.224 in) bullet diameter, and the trademark capitalization style is intended to emphasize the manufacturer’s initials—FN. 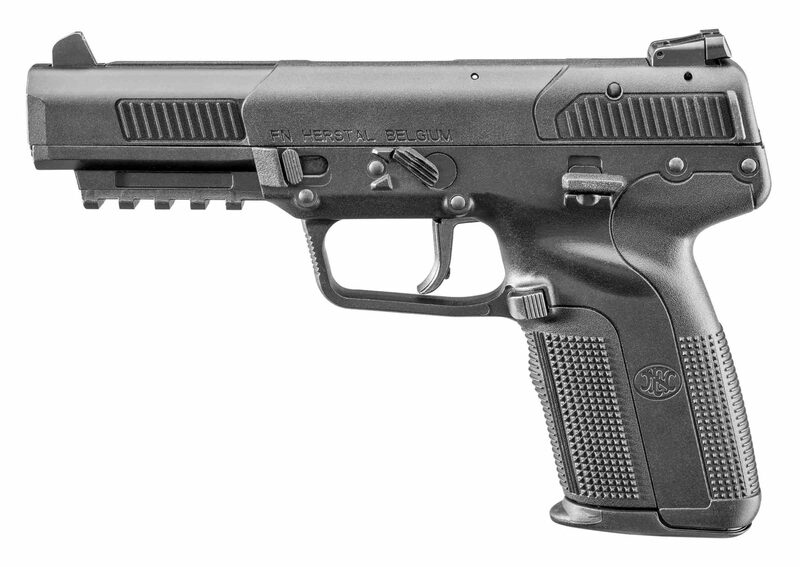 The Five-seven pistol was developed in conjunction with the FN P90 personal defense weapon and the FN 5.7×28mm cartridge. The P90 was introduced in 1990, and the Five-seven was introduced in 1998 as a pistol using the same 5.7×28mm ammunition.Developed as a companion pistol to the P90, the Five-seven shares many of its design features: it is a lightweight polymer-based weapon with a large magazine capacity, ambidextrous controls, low recoil, and the ability to penetrate body armor when using certain cartridge types. Sales of the Five-seven were originally restricted by FN to military and law enforcement customers, but since 2004, the pistol has also been offered to civilian shooters for personal protection, target shooting, and similar uses. [ Although offered only with sporting ammunition, the Five-seven’s introduction to civilian shooters was met with vocal opposition from gun control organizations such as the Brady Campaign, and the pistol has been subject to ongoing controversy in the United States. The Five-seven is currently in service with military and police forces in over 40 nations, including Canada, France, Greece, India, Poland, Spain, and the United States. 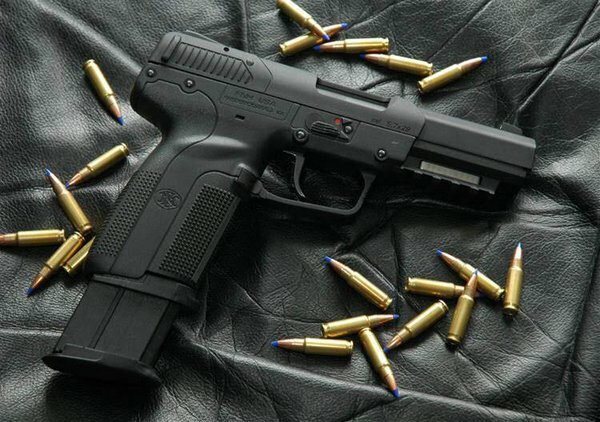 In the United States, the Five-seven is in use with numerous law enforcement agencies, including the U.S. Secret Service. 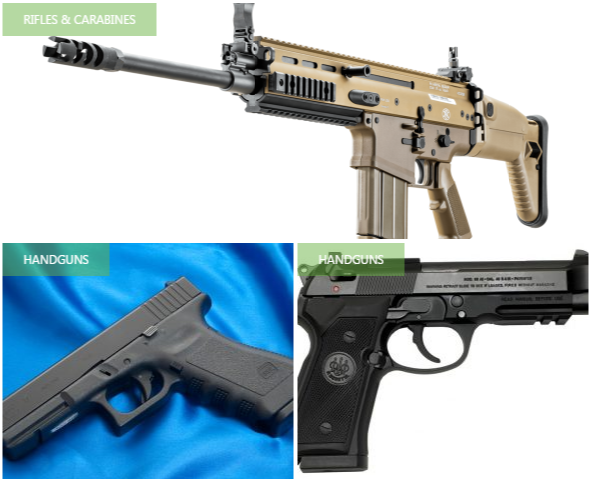 In the years since the pistol’s introduction to the civilian market in the United States, it has also become increasingly popular with civilian shooters.